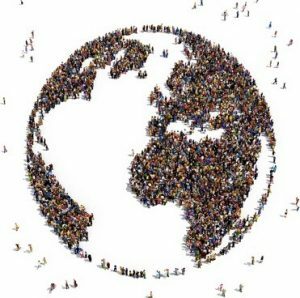 How are Intentional Communities relevant today? Did you know the term Intentional Community was coined in the 1940’s?! 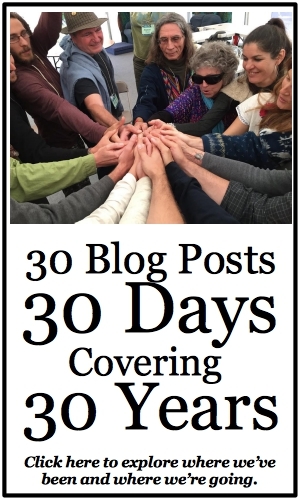 For 30 years the FIC has provided networking and support to co-ops, land trusts, Cohousing, ecovillages, communes, and collective living of all kinds. We’ve helped people find communities, helped communities find people, and helped people who want to start communities find each other. We’ve also been a face and point of interaction for media, researchers, and allied movements. At their core, intentional communities are about sharing, sharing lives, sharing resources, sharing values, which naturally bring social, economic, and ecological benefits. They are models for a society where everyone has a say and everyone has access to what they need. They offer a better way of living right now, as well as a path to creating a cooperative, sustainable, and just world. Before the Fellowship for Intentional Community, there was the Fellowship OF Intentional CommunitIES. Formed in 1949, the original FIC was a mutual aid organization of specific intentional communities, governed by representatives. 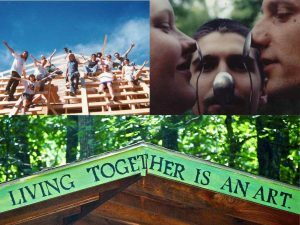 The term Intentional Community was created, in the words of one of the FIC’s founders, “… .” After several decades the organization went dormant. The group that reformed the FIC in 1986 did so with the specific intention of bringing awareness to the concept of intentional community. They wanted to support the forming, developing, and networking of intentional communities in a broader way, and changed to name to Fellowship for Intentional Community to reflect that. The Directory, Communities magazine, and Community Bookstore are direct expressions of this intention. Over the years our programs and services have grown and evolved. An early adopter of the internet, we first got online when you could get a two letter domain name! 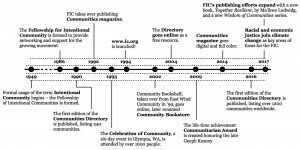 It’s also fascinating to think back to the original Communities Directory, published in 1990 – how did that even happen without the internet?! The world has changed a lot in the last 30 years.